DESIGNED BY PROFESSIONAL SKI BUMS, FOR FELLOW SKIERS & RIDERS. 2.64 MILLION ACRES OF EXCLUSIVE, JAW-DROPPING TERRAIN, UNLIKE ANY OTHER IN CANADA. From stunning scenic fjords to the highest peak in British Columbia, our heli-ski permit area has an inspiring range of untracked terrain, as vast as the entire Swiss Alps for our exclusive use. DRY ENOUGH TO GET FACESHOTS. DENSE ENOUGH TO SKI STEEPER TERRAIN. 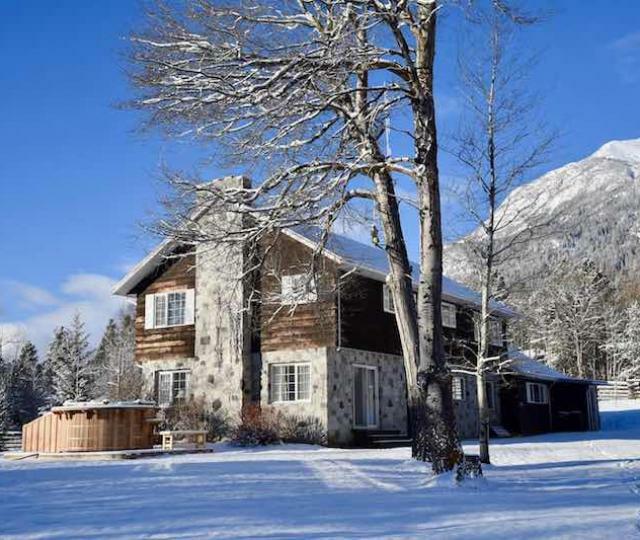 Bella Coola straddles the iconic Coast Range Mountains. Our inspiring wilderness playground includes both the incredible denser powder in the west to the lighter powder in the east. We offer an industry-leading range of programs to suit every type of skier & rider. Whether you’re an expert wanting steeper terrain, or it’s your first time heli-skiing and you’re looking for something a little more tame, we’ve got the perfect experience for you. 5 LODGES. 5 STUNNING LOCATIONS. TONS OF OPTIONS. Choose from our 5 unique lodges – each offering their own distinctive experience. Stay at our flagship property Tweedsmuir Park Lodge; enjoy the benefits of 'single group heli-skiing' at Pantheon Heli Ranch; enjoy a welcoming hotel-style stay at Eagle Lodge or explore un-named runs at Terra Nostra Guest Ranch; as well as Mystery Mountain Lodge where we host just 4-5 people! 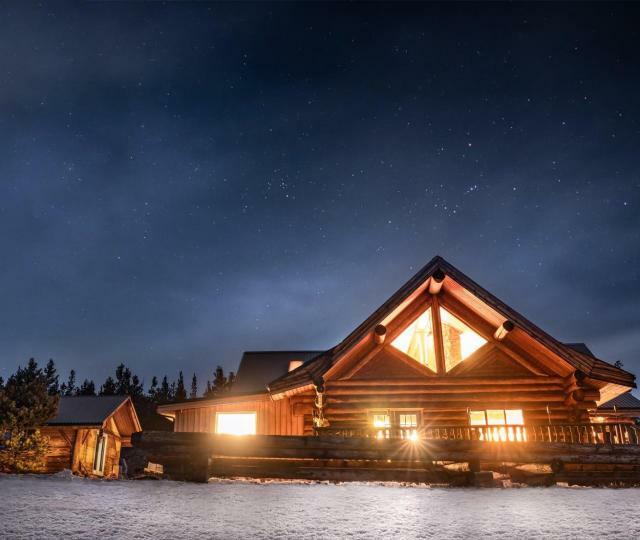 Tweedsmuir Park Lodge A member of The Magnificent 7 Luxury Lodges of Canada, Tweedsmuir Park Lodge is our flagship property, set on 60 acres of stunning wilderness. Bordering a pristine fishing river, Tweedsmuir is surrounded by the towering peaks of the Coast Range. 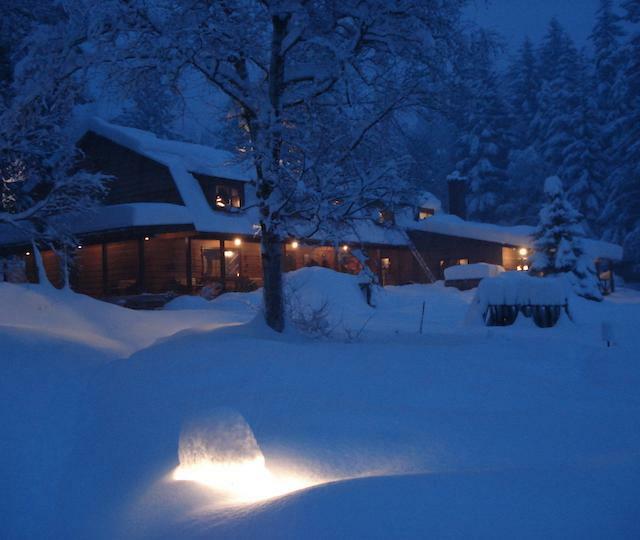 Stay in beautiful timber-frame chalets with the heli pad right out front. Eagle Lodge Are you time restricted? Then Eagle Lodge is for you. 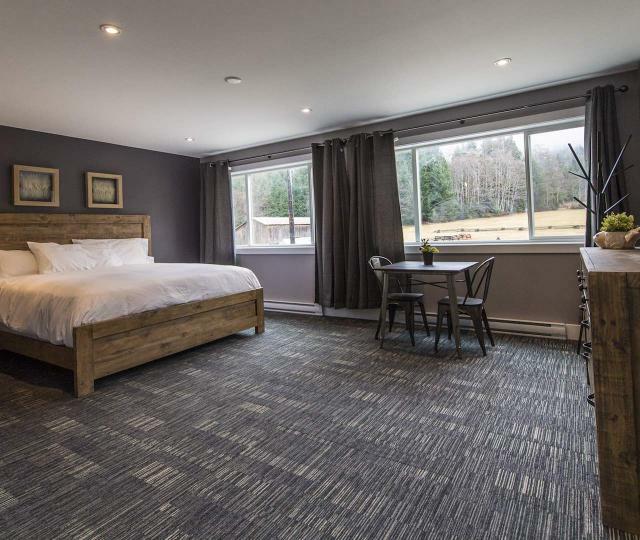 Located in the sleepy village of Hagensborg, Eagle Lodge is the home of our Steep Skiing and Heli Assisted Ski Touring programs, and is available for shorter durations of our standard Classic Vertical package (eg 3, 4 or 5 nights). It is ideal for solo travelers as everyone stays in the same building, and which as several social areas. One of the highlights of booking a trip to Eagle Lodge is that we host 12 people here, meaning we run just 2-3 groups of 4 out of the heli! Pantheon Heli Ranch Pantheon is extremely unique in the Canadian heli-skiing industry in that you can regularly ski first descents! Yes, ski terrain that has NEVER been skied….amongst the largest peaks in BC & the longest vertical in Canada with runs up to 6,000ft! Have exclusive use of the whole operation with your own group of up to 8 people! Terra Nostra Guest Ranch An exciting addition to our array of wilderness lodges, Terra Nostra accesses some extremely remote terrain where we have done very little skiing. Join us and claim some first descents! This location hosts just 8 people, making it perfect for a private group (note: groups smaller than 8 might be possible). Mystery Mountain Lodge Deep in the heart of the Coast Range exists zones with literally thousands of epic runs that have never been skied. Until now. Enjoy huge unexplored peaks, first descents as far as the eye can see, and genuine home-style ranch hospitality. With a capacity of 4 people per week, it is the perfect location for a small group of buddies or a family looking for a special experience. WE ARE A MEMBER OF HELICAT CANADA & ARE DEDICATED TO THE HIGHEST SAFETY STANDARDS. We operate according to the most comprehensive helicopter skiing safety guidelines in the world, developed from over 45 years of operating experience. HELI-SKI ON BOTH ARRIVAL & DEPARTURE DAYS! WE GET YOU HELISKIING QUICKER THAN ANYONE ELSE. All it takes is a 70-minute mid-morning flight from Vancouver to be heli-skiing THAT VERY AFTERNOON amongst the highest peaks in British Columbia. #1 in the World - Again. Canada's best alpine terrain, a world class team and our “small group” format made us the best in the world at the 5th Annual World Ski Awards in Kitzbühel, Austria for the last 2 years running.